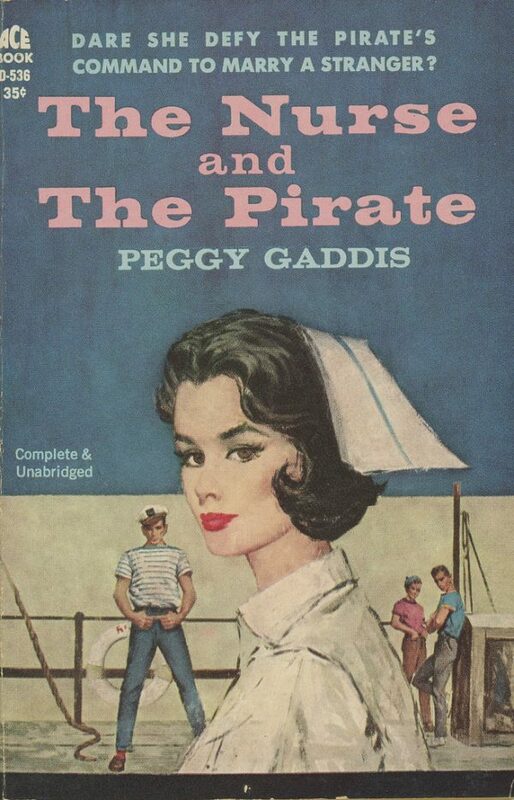 Dare She Defy The Pirate’s Command To Marry A Stranger? After five months as a cruise nurse on the luxury liner Santa Theresa, Kathy was glad that the trip was almost over and that she would soon be back to the demanding atmosphere of a big city hospital. Suddenly, during a starless tropical night, a desperate band of men seized the liner by force and terrorized the passengers and crew. All at once Kathy not only had more nursing to do than any one nurse could handle, but she had become the special object of attention of the leader of the pirates!